One of my culinary goals for the year is to explore flavors from different cultures and countries around the world. It's easy to get stuck in a rut with the same mundane dinners week after week, but I am embracing the challenge to step out of my culinary comfort zone. My best friend gave me this beautiful cookbook for Christmas a couple years ago, and I thought this would be a great place to start. 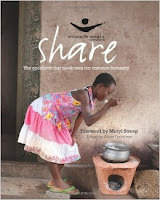 This international cookbook from Women for Women International features a wide range of recipes from world-class chefs to everyday families, and flavors from Iraq and Turkey to Nigeria and South Sudan. The mission is to celebrate diversity and acknowledge a shared humanity. "Now I can imagine a tomorrow that could be better than today." 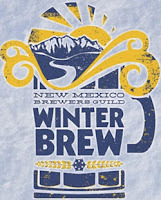 This has been an insane season for snowfall in Santa Fe, and winter has only just begun! We got another almost 3 feet of snow at the end of last week, with a season total of 159" at the local ski basin. I haven't made it up to the mountain for skiing yet this year but I have had the chance to do a lot of snowshoeing! Yesterday I took my friend and first-time-showshoer up to Borrego Bear Wallows. I like this trail because it makes a loop (a triangle connecting the Bear Wallows, Windsor, and Borrego trails), it isn't terribly steep, and the trees offer a barrier from the wind. 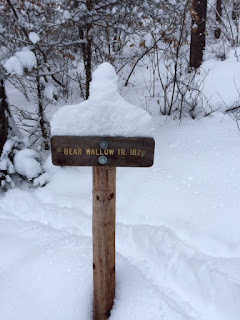 We were the first hikers on the trail that morning, so it was up to us to make new tracks. The snow was fluffy and pristine. It was a sunny morning and the only sound when we started our hike was the gentle whoosh of snow falling from the trees when a light breeze came along. Kua had a blast and will probably sleep for four days. 2015 was a big year. Jaycob and I bought our first house. I celebrated my 30th birthday. I set a new personal record in a half marathon. I was a bridesmaid in the wedding of one of my best friends and attended the first wedding of a cousin. And I had a great year in my job, where I got promoted in our Clinical Advancement Program, took on leadership roles, was selected for the hospital's Ethics Committee, supervised 5 full-time Physical Therapy students, presented an inservice, and started a few process improvement initiatives. I achieved some of my New Years Resolutions, while others are ongoing goals. 2015 was also a challenging year. It was a year that brought loss and sadness, which consumed several months this fall, but which also taught me a lot about how to grieve and how to be a better friend to others who are going through trying times. I am optimistic that 2016 will be a year of hope and new beginnings.